Your child has been evaluated and found eligible for special education services. Now, you will be attending your first Individualized Education Program (IEP) meeting. 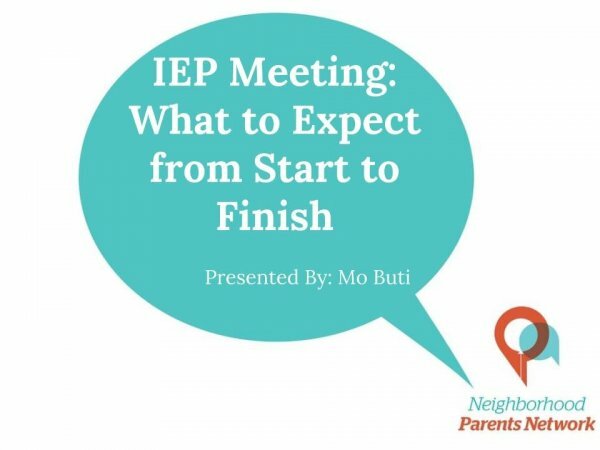 During this webinar, autism and special education advocate Mo Buti discusses what to expect during an IEP meeting, how to prepare for the meeting and key points in the IEP document. This 20-minute webinar will help parents of children with and without an Individualized Education Program (IEP) navigate what to do with reports obtained outside of school. Whether you have an assessment, a tutor's progress report, a doctor's report, or other forms of documentation, this webinar will inform you how to use this information to assist the school in determining appropriate services for your child. Your Child Has An IEP...And There Are Some Red Flags...Now What? If your child has an Individualized Education Program (IEP) and you have found yourself wondering if the IEP actually meets your child's needs, then this webinar is for you! 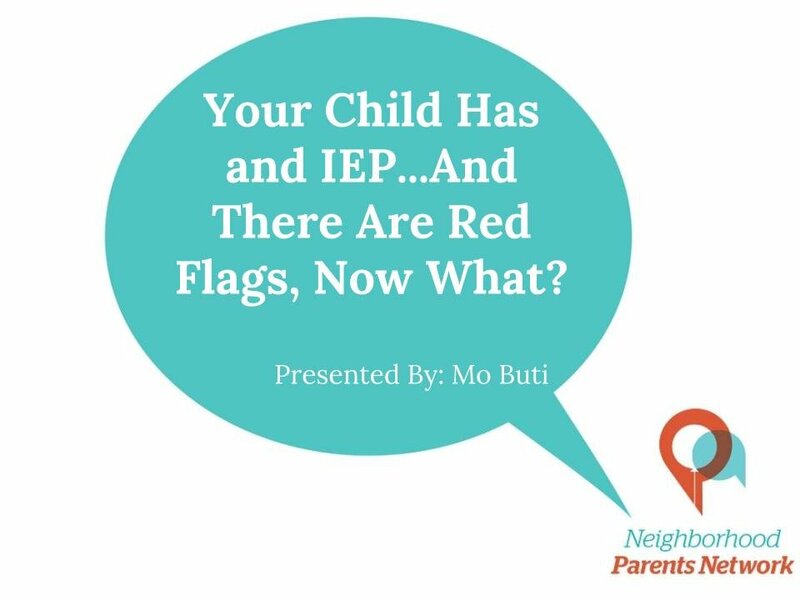 Special education advocate Mo Buti joins us for the second installment of NPN's IEP series with My IEP: Red Flags. You will learn about some possible "red flags," learn how to identify them and then what to do to resolve these concerns in a proactive way. 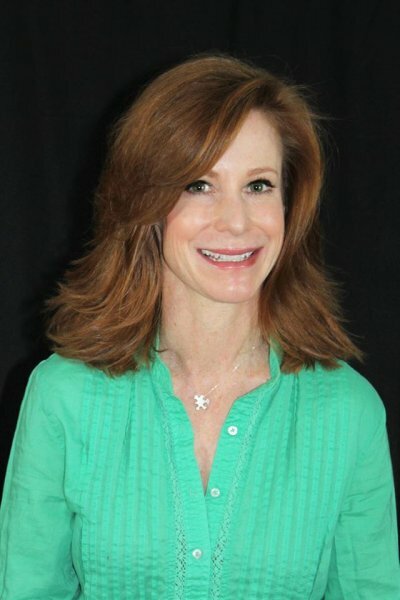 Mo Buti, AiepA: Advocate and Instructional Expert for People with Autism With over 27 years of experience, Mo is a practiced professional in the field of special education, providing services and support to those with disabilities and their families. She assists parents with every stage of the IEP process, ensuring that students receive a free and appropriate public education (FAPE) in the least restrictive environment (LRE). Mo consults with families to determine specific educational solutions, services and programs, as well as appropriate placements, to meet student’s individual needs to capitalize on their strengths. She works to further the individual’s educational, social-emotional and vocational goals to help realize maximum potential.